Confined to the limits of Haleakala volcano, Maui Island, Hawaii, the beetle fauna there turns out to be not only extremely diverse, but very abundant as well. When Prof. James Liebherr of the Cornell University Insect Collection thoroughly sampled beetle populations on the volcano, he identified 116 species of round-waisted predatory beetles, including 74 new to science. The taxonomic revision, complete with descriptions of the new species, is now published in the open-access journal ZooKeys. The present discoveries and observations are certainly surprising due to their scale, even though it has been long known that the Hawaiian Islands support disproportionately high levels of biodiversity. 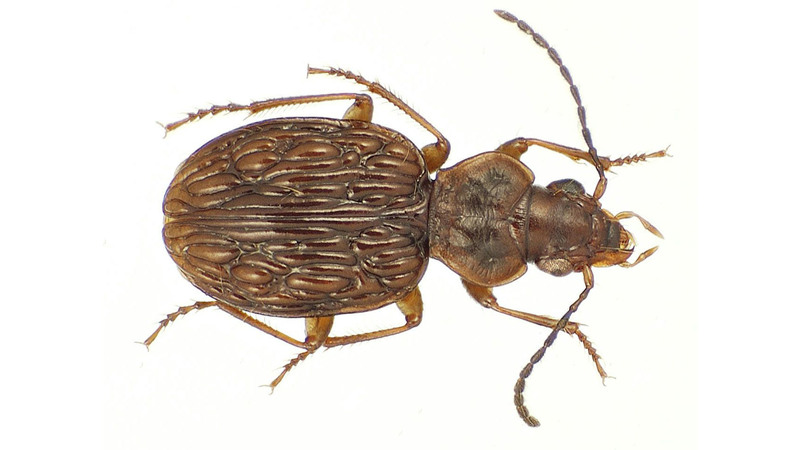 For this group of native round-waisted beetles, called Mecyclothorax in the zoological naming system, there are 239 species across the Hawaiian Islands, all of them descended from a single colonizing species. The 116 species known from Haleakala make that volcano the center of biodiversity for this group within Hawaii. These beetles’ evolution during the 1.2-million-year lifespan of Haleakala volcano means they have speciated faster than most organisms on Earth, including the Hawaiian Drosophila and the cichlid fishes of eastern Africa. No less striking is the fact that the 74 newly described beetle species previously evaded discovery within the limits of Haleakala’s 1,440 km2 of surface area. Reasons for this include the restricted distributions of many of the beetle species, and the previous lack of comprehensive field sampling. During his research, Prof. Liebherr examined all quarters of the mountain to eventually find many places of 1′ latitude × 1′ longitude where more than 20Mecyclothorax species lived closely together within a limited area of forest. Additionally, the round-waisted beetle species seem to thrive across a wide range of altitudes, with their populations covering the major part of the mountain’s height. Historical as well as modern records have identified representatives of these insects from 450-metre elevation up to the volcano’s summit at 3000 m. However, given land conversion and the influx of alien invasive plants, habitats below about 1000 m have been seriously disrupted, and these elevations support few native beetles.